Complaints about violence in ‘live-in’ relationship increases at NWC - Integration Through Media ....! KATHMANDU: A live-in relationship is an increasing culture in the Nepalese society lately, and with this, the number of complaints related to violence in such setting is on the rise at the National Women Commission (NWC). A majority of plaintiffs seek the ‘legalisation’ or the recognition of such the relationship, according to NWC information officer Dhruba Raj Chhetri. According to Chhetri, case studies show that a couple made arrangements for living together on mutual consent, but later, a male partner escapes the relation once his interests get addressed. The NWC deals with the cases to this regard under the Domestic Violence Act. Of the complaints it received, so far, 25 are related to physical torture; 29 percent are about the economic issues, 10 percent are related to sexual harassment and 36 are about emotional torture. In the past eight months of the current fiscal year, a total of 925 cases concerning women–818 (58 percent) cases of domestic violence and 107 (15 percent) cases of violence against women –were registered at the NWC. Most complaints are filed by women from the Dalit, marginalised and backward communities. They are less educated and some are from an elite class. The data shows that most incidents take place in Kathmandu and complaints from educated women are occasional. 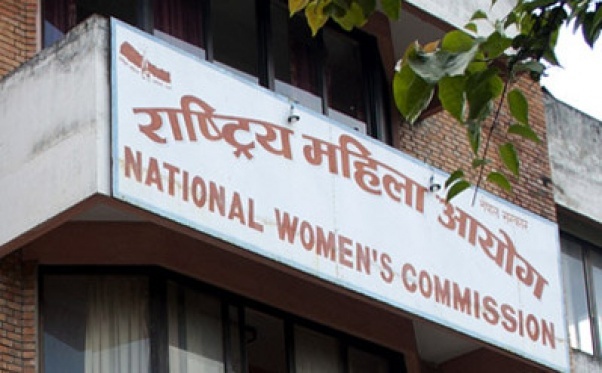 The NWC is in collaboration with other various organisations like the Legal Aid and Consultancy Centre (LACC), the Centre for Legal Research and Resource Development (CeLRRd), the Nepal Bar Association and SATHI Nepal to settle domestic violence lodged with the commission. Besides through women friends, neighbours, the police and various related organisations, complaints are also registered through a hotline 1145 set up by the commission. The NWC has a policy to expand its branch to all seven states to keep up with the federal setup. It however provides services in all the states through various related organisations. It also deals with cases related to male. So far only two percent of cases related to male have been registered with it.